I live in Karawang, a developing city in West Java which is quite near to Bandung. Karawang to Bandung can be reached 1.5 - 2 hours by car, not a very long trip here. However, if you want to travel to Bandung, you need to pay more attention to the peak hour and peak season. In weekend, traffic jam can be much worse. The traffic jam is not only caused by many visitors come from outside Bandung but also a very long queue time of the traffic light (may take 5-10 minutes I guess). Therefore, if you want to enjoy Bandung more, you need to travel in early morning and not in a weekend period. 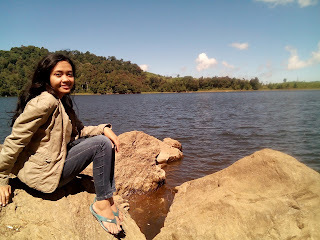 Last time, I went to Bandung, Lembang and Ciwidey (in a different time) during Ramadhan. Ramadhan is the month of fasting for Moslems. As many Moslem people were fasting during that month, many of them chose to stay at home instead of spending time in public places. Therefore, it can be an option to enjoy your time: no traffic jam, no queue for entry tickets, no crowd in the tourist objects. Here, are several places I offer you to visit, and most of them are not artificial. Kawah Putih is located in a high land of Ciwidey area, 50 KM in a south Bandung. This crater is still in the area of volcanic Patuha Mountain, therefore we can easily smell sulfur comes out from its lake. As the colour of the water and the sand is white, this object is very attractive for photography. However, you may not get too close to the crater because it is very dangerous. To get to the site, it may be somehow difficult to use public transportation as there are not so many "angkot" or public cars to get there. Kawah Putih opens everyday from 7AM to 5PM, with an entry ticket of averagely IDR 18,000 (weekend and weekdays in 2015). The expensive one is for those who drive cars and want to park their cars near to the site. You must pay IDR 150,000 just only to park in the uphills (it is considered for environmental maintenance fee). To deal with it, you may join with other tourists in one car, or get "Ontang-Anting", a public car provided to get to the uphills, with much cheaper price. 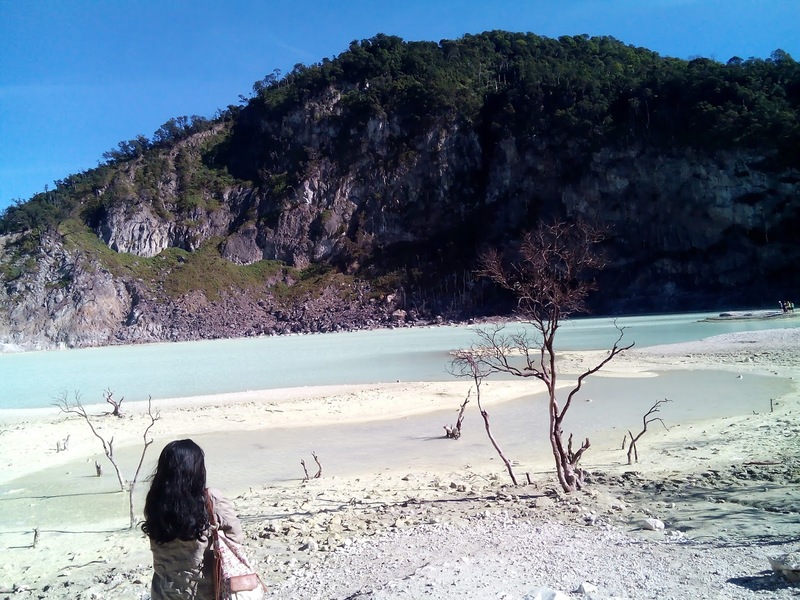 Note that it is best not to go to Kawah Putih in a rainy season (Dec-April) since the road can be very slippery and not comfortable for sightseeing. It is also important to notice that if you arrive here in early morning (7AM), the weather will be very cold. Don't worry, there are many street vendors that sell various warming things such as coat, hat, gloves, even mask. Near Kawah Putih, there will be another interesting spot to go, Ranca Bali Tea Garden. You just need to drive uphills around 15 minutes to the direction of Situ Patenggang and you will see a beautiful scenery of tea garden that will surround you. Amazing. Everything seems planted in a very well-organized way and everything is green! If you want to take a picture, you can stop by, park your vehicle and CHEESE! It's free! 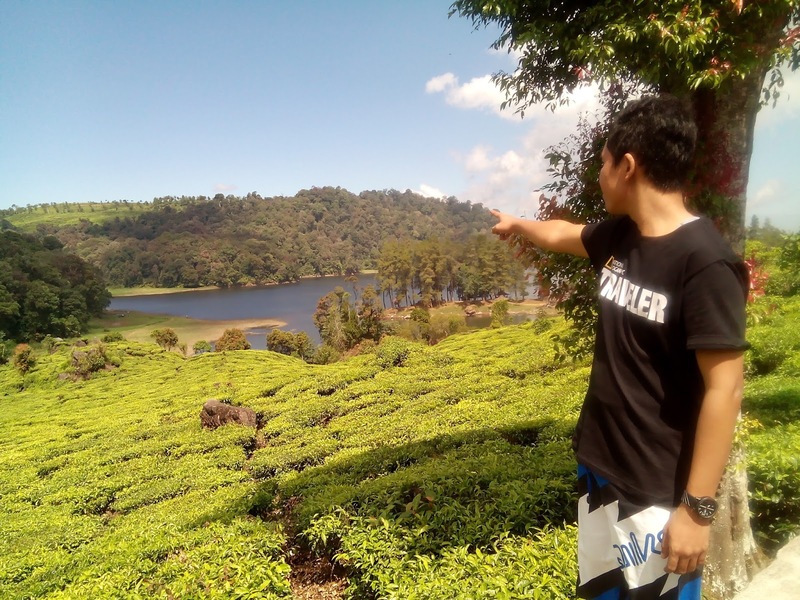 In Ciwidey, actually you will not only find tea plantation but also strawberry plantation. There are a lot of places offering you opportunity to grab strawberries from its tree in a quite cheap price. Just right behind the Ranca Bali Tea Garden is Situ Patenggang. Situ in Sundanese means Lake. Initially, Situ Patenggang was a national park managed by Perhutani (Indonesian Government Forestry) and now is turned into tourist object, with many surrounding facilities such as cafetaria, hotels, etc. The lake itself is not very large. In the middle of it there is a small island and people can get across there by a boat. I think there is no something special in that island. Entry ticket is around IDR 18,000 in weekdays and IDR 20,000 in weekend. To enjoy the scenery, you may take a short down walk near the lake, you can sit on the natural rocks or even sit under the trees. 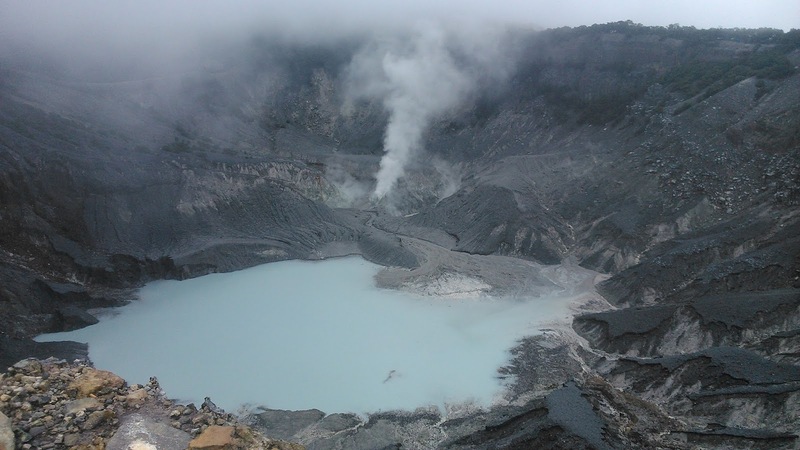 Tangkuban Perahu is located 20KM to the north of Bandung, it is one of tourist objects combined with the local myth of how it is formed, the same with Situ Patenggang. It is also difficult to get in the spot using public transportation. You can go with "angkot" until the gate of Tangkuban Perahu to buy ticket, but still you need another vehicle to go uphills that is quite far. Here, there is no public transportation provided just like in Kawah Putih. Therefore, it is much better to drive your own if you want to go to Tangkuban Perahu. For the ticket, it is almost the same with the previous ones, around IDR 15,000/person. You need to be careful because the wind is very strong and sometimes it is foggy and cold. Around, if you are hungry you can find meatballs, traditional roasted corn, tape uli (traditional food made from sticky rice). There are still other interesting and beautiful natural places in Bandung that are worth to visit like Maribaya, Lembang, etc. One thing for sure, Bandung is not only a city for shopping and doing culinary but also for enjoying its natural beauty.